I made this card while crafting with some of my favourite people last weekend. I was there for a full day and only managed to finish two cards. But it's just as important to sit and talk all day, right? It was a great day actually and I got a lot of inspiration and energy with me home. Never underestimate the power of crafty friends, they are truly the best! 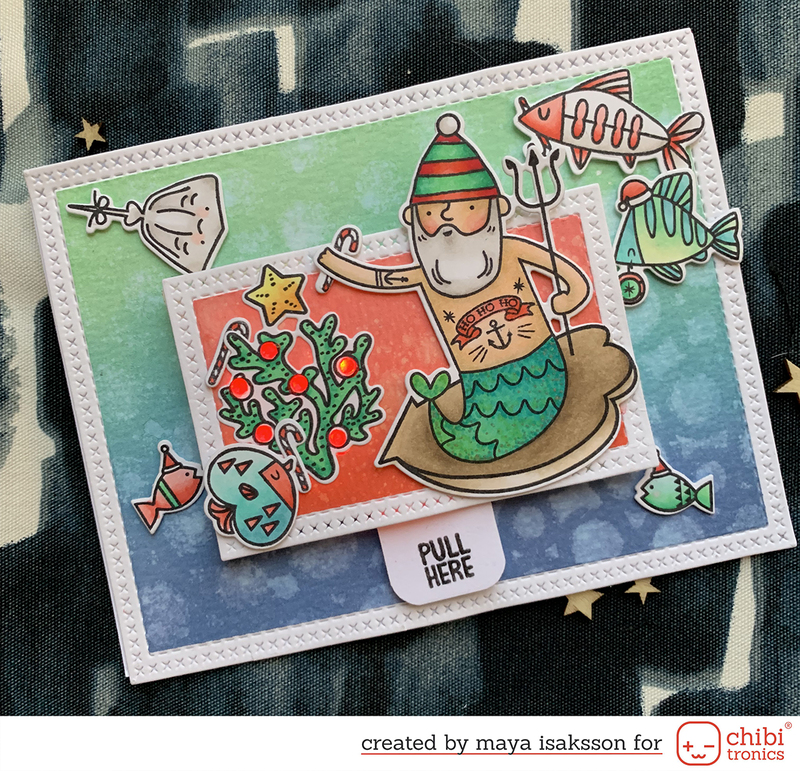 So this card is also blogged at Design in Papers today. 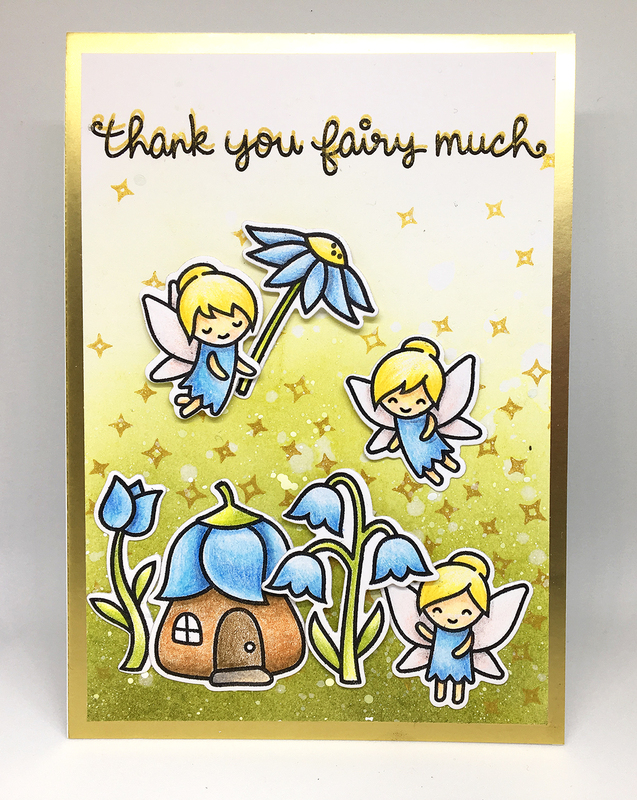 I really loved the Winter Fairies stamp set so I had to get the original one too, even though I'm way after everyone else. I colored them using my Spectrum Noir ColourBlends, I really have grown to love colored pencils lately. It's so relaxing to color using them. Of course I added some shimmer to the wings with Spectrum Sparkle pens. There's a new challenge up at Spectrum Noir now by the way. I will blog my inspiration for that later this week but you can find it on the Spectrum Noir facebook page if you want to start create right now. Thanks for stopping by and see you soon again!